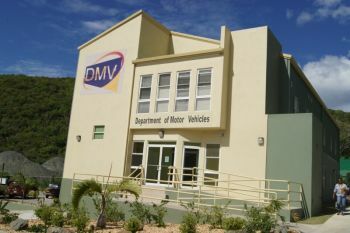 ROAD TOWN, Tortola, VI – Over 15,000 vehicles were licensed in the Virgin Islands for 2012 according to a report issued by the Department of Motor Vehicles (DMV) which has been laid in the House of Assembly. The report indicated that some 15,351 vehicles were licensed for the Territory with 13,218 of those being from Tortola. Just under two thousand vehicles (1,846) were licensed in Virgin Gorda for the corresponding period while less than two hundred each were licensed for Jost Van Dyke (116) and Anegada (171) respectively. The DMV report was laid by Minister for Communications and Works Hon. Mark H. Vanterpool during the 4th Sitting of the 3rd Session of the Second House of Assembly on January 13, 2014. It was further noted that the Department has continued efforts to retrieve the one percent (1%) of temporary license plates that were still with the public. Over seven thousand [7,767] driver’s licenses were renewed for the corresponding period while a total of 816 new driver’s licenses were issued. Records further indicated that 110 motorcycle licenses were issued during 2012. Notably, it was highlighted that there were still a number of illegal license plates on the road. According to the report, plates which were not issued by the Department are considered illegal. In most cases, the report continued, they are made from hard plastic, whereas the Department’s pates are made from aluminium. The DMV report further stated that since the introduction and purchase of new license plates for the House of Assembly members since 2011, no members of the HOA have collected their plates. so how many disabled cars were towed and junked? Are we just adding more cars per household? three and four to a family? 25K-30K people- a big portion can't drive yet-- so are we talking two cars, taxi cab, pick-up truck and a scooter per family? I had my license renewed but don't own a car- I rent and borrow. But I wish Gov would take all those junk cars out and get them recycled some how. As for motorcycles and scooters, as someone pointed out- here we have a picture with offenders. Why can't the police ticket them when they see them? (and keep a record of repeat offenses to suspend licenses). If you would stop living under your rock , last year a barge left the vi waters destiny unknown with old cars fill to the brim . Well over 1.5 Million dollars revenue for DMV for license of vehicles alone. Not bad. too bad they don't think of safety while they are at it. Do you still take ticket money if the area is full? The territory may not be full yet, but it is on its way. A plan has to be made. Recently, it was reported that there are some 1200 accidents per year. So if we have about 8500 total drivers, that works out to be an accident rate of around 1 in 7. Seems unacceptably high to me. When will we start enforcing the traffic laws?